By this point I knew where this was going, but am confused upon reflection as to why the page below still has the wrong central panel. Notice again that at this point I was still thinking in terms of breaking up the panels on the left into three panels. 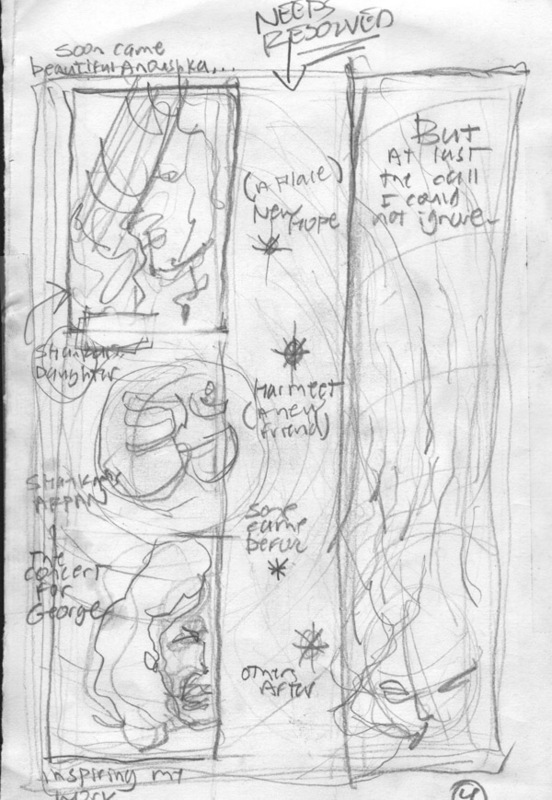 I am fairly certain that this is the first sketch for this page, but the one below may have come first. The sketch here is fairly tight right down to the details. The Yantra is there but still not as strong as what I had established earlier. 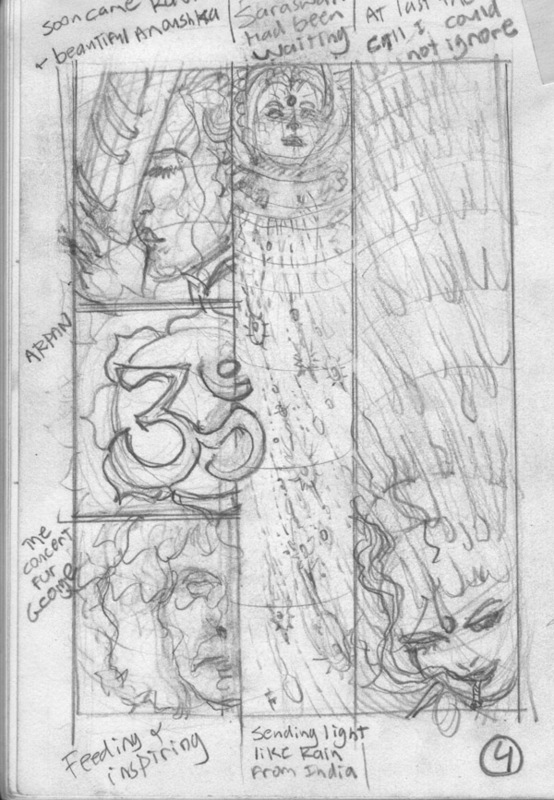 And you will see that Saraswati is still in the second panel rather than in her proper place on page 2. By the time of the “ashcan” I had figured most of the important elements out. No Saraswati here, and the left column is still broken down into three panels. Tom chose to scan the final (though still in need of inking) page 4 in progress. 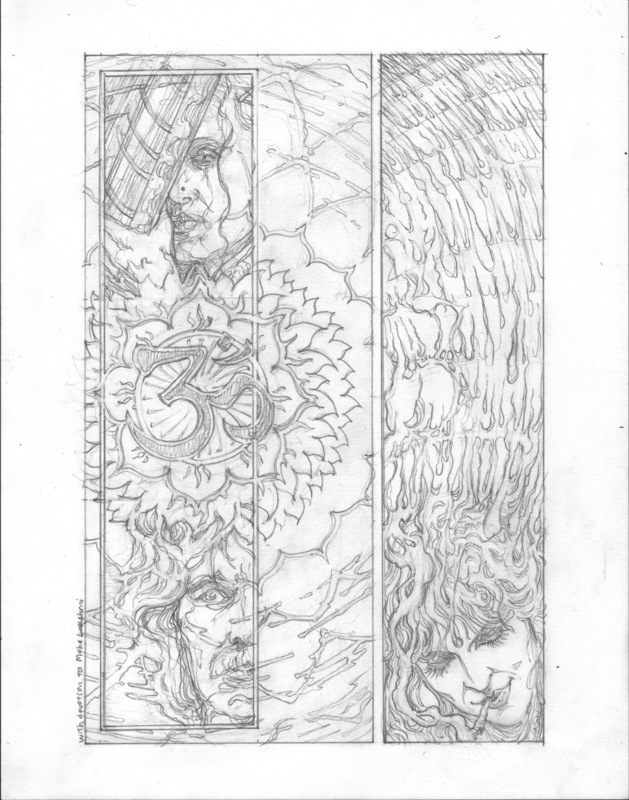 I have finished the pencils since taking this scan and will soon upload them but you can see that the third (right) panel is very unfinished and the middle section is also not quite there. Note that the Yantric element is strong throughout and once again it wasn’t until the final piece that I figured out that the left panel needed to be one long continuous panel and not three smaller ones. 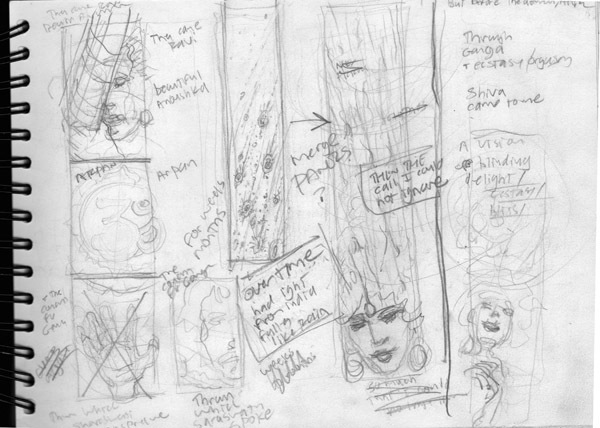 And like page 2 with the void and the crowd, I merged the panels into 1 trippy whole. The finished pencils will be uploaded soon, and the inked pages… one day when I finally finish. There is also one more page in this 5 page story, so keep coming back for that as well. 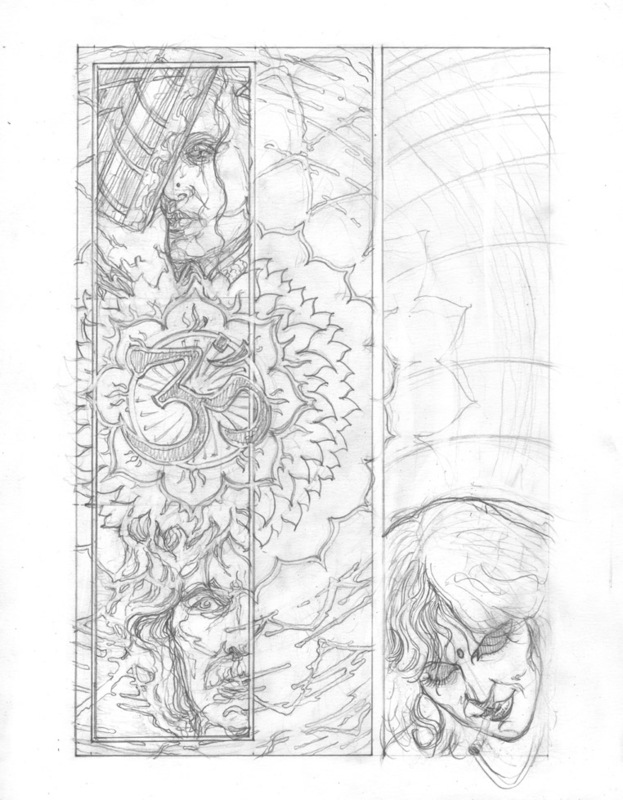 As promised, here at last, is the final (uninked/unfinished) version of this page. You can see from the page above that the piece was not quite complete. It is much more magical now. So… the next phase… I have to get up the courage to finish the fifth and last page… then INK these!